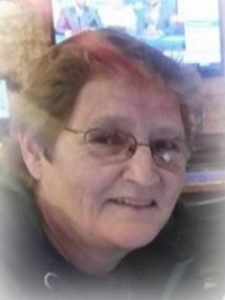 Gayle E. “Willie” Wilber, age 61, of Port Washington, WI passed away Tuesday, December 18, 2018 at Ascension Columbia St. Mary’s Hospital-Ozaukee in Mequon after complications of a recent illness. Owner of Willie’s Wish, Gayle was born on September 4, 1957 in Milwaukee; daughter of George and Gloria Kruger Wilber. The family moved to Port Washington in 1969 where she graduated from Port Washington High School, class of 1975. After high school, Willie began her bartending career. She worked at a little place on East Main Street called “Across the Street”. After a few years she bought it and renamed it Willie’s Wish. Infamous for her “Mug Club” hanging from the low ceilings, to the pool table wedged into the side room using the two-foot cue stick. About 1996, Willie’s moved across the street to her current location in the former Bley’s Recreation building, later becoming Willie’s Wish and Lakefront Lanes. Willie always was a very good bowler and she continued to do so. She was elected into the Ozaukee County Bowling Hall of Fame in 2014. She had been a proud supporter and participant of the county bowling leagues, the pool leagues and the Wisconsin Tavern League membership. When in Port and mention Willie, everyone knows who you are talking about. She was a great friend, always there to help others and make a difference. Willie is survived by her sister Gynene Wilber of Antigo, nieces Chloe (Austin) Hitz and Gracie Yankunas, nephews Tyler Hipple and Collin Hanley, other relatives, her family at the bar and many friends. She is preceded in death by her parents and her sister Gwen Yankunas. Willie’s life will be celebrated at Willie’s Wish, 119 E. Main Street, Port Washington, WI from 2-6PM Saturday, December 29, 2018. I remember Gayle when she worked for my Dad’s store, Ozaukee Springs about 45 years ago. I was just a kid but I always looked up to her and we had fun. I have great memories of laughing with her. My deepest sympathies to your family. Gynene and family, I’m sorry that I will not be able to attend the memorial on Saturday. My deepest sympathy, thoughts and prayers are with you and your family at this difficult time. I met Willie in 1979 at Across the Street and in 1980 played on the bar’s softball team, the Raggetts. Willie was great, an awesome person and athlete. I was a terrible athlete but was accepted by the team, nonetheless. I stopped in Willie’s last summer with some friends and talked with her awhile. She is one of the reasons I have treasured memories of living in Port Washington. Thanks, Willie. You are missed. Willie was a big part of my childhood. She would let all the kids that were known for trouble makinh into her bowling alley to hang out and be the place we’d meet up with everyone we hung with. Her smile and voice will be stuck with me forever. She was such a loving and caring individual and it hurts to see her pass. I’m sad even more I can’t attend her funeral service. Hugs to all her family and friends back in WI. Willie, thank you for being so kind and accepting of me and everyone. I truly miss you. I’m sorry I will not be at your memorial. I’ll be out of town with family. I met Gayle in 1978. She was tending bar at Across the Street, in Port Washington. I lived in the Chicago area, and I liked Port so much I spent all of the summer holidays and Fish Day up there, for many years after. Willie was one of the reasons why. My birthday is the 3rd and Willie’s was right before mine. So, we celebrated together, many times. Of course, she went from tending bar to becoming the proprietor of not only a bar, but a bowling alley. I spent some time there too, especially to cheer on the Packers over the Bears. It has been about five years since I last saw her. The news of her passing hit me hard. Big hugs to all of her other friends and family. I will never forget her.